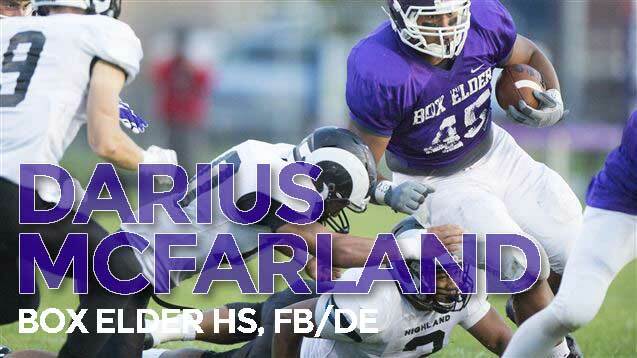 Darius McFarland is a 6’2” 265 pound defensive end/fullback committed to play for the BYU football team (Class of 2016). 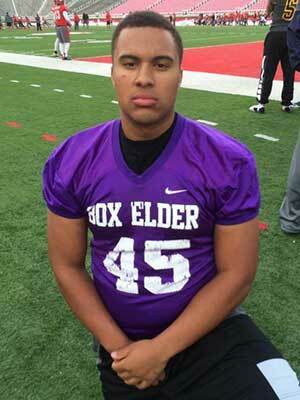 At mid-season as a Box Elder High School senior he has done a little bit of everything. He has 64 carries for 273 yards and four touchdowns and 14 receptions for 221 yards and another TD on offense. On the defensive side he has 18 tackles, two quarterback hurries, three pass deflections, a fumble recovery, a blocked PAT and a blocked field goal, two tackles for loss, and a sack. McFarland committed to the Cougars on June 6, 2015 as the ninth commitment for the 2016 class. 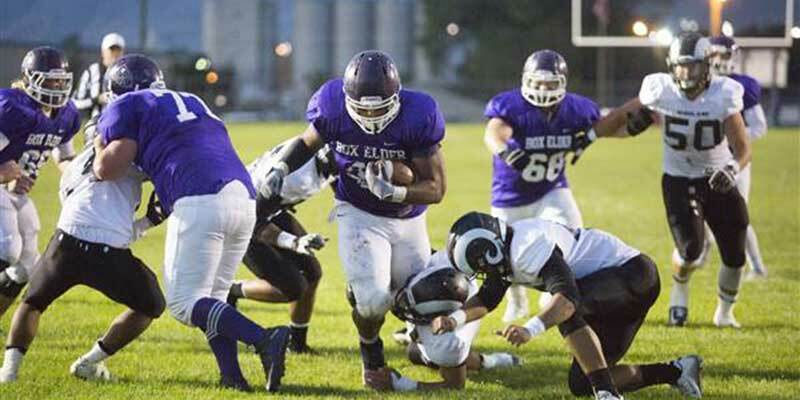 McFarland preps at Box Elder High School, where since his freshman year he has played tight end, outside linebacker, defensive end, and fullback. As a freshman he caught 7 passes for 73 yards (10.3 ave) and had 15 tackles, two pass deflections, one tackle for loss, and two sacks. As a sophomore he caught 19 passes for 214 yards and two touchdowns, had 33 tackles, two tackles for loss, two pass deflections, one fumble forced and one recovered, blocked a PAT, had four QB hurries, and three sacks. During his junior season he had 42 tackles, six tackles for loss, and 4.5 sacks as a defensive end, and caught 28 passes for 382 yards and two touchdowns as a tight end. And if playing four positions on the football team isn’t enough, he’s also a four-year starter and all-region 2nd team performer on the basketball team, a starter for the baseball team, runs for the track team, and holds a 3.8 GPA. McFarland is rated 3-stars by ESPN (grade of 75) and 2-stars by Scout and Rivals. ESPN lists him as the No. 8 prospect in the state of Utah. 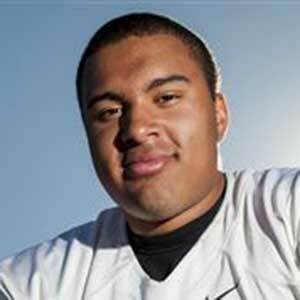 He holds scholarship offers from Air Force, Army (West Point), BYU, Southern Utah, and Wyoming. He is also being recruited by Harvard, Nevada, Princeton, Utah, Utah State, Washington State, Weber State, and Yale. He plans on serving an LDS mission immediately after high school and will join the Cougars in 2018. 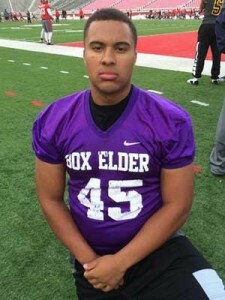 Last Team: Box Elder HT/WT: 6’2”, 265 lbs. Profiles: MaxPreps, HUDL Bench/Squat: 295/470 lbs.